Pistachios have a unique shape and texture. One of their most distinguishable characteristics is their green color which can be seen once they are shelled. Their flavor is distinctive and typically easily detected when used as an ingredient in main dishes, desserts and confections. It's sweet, nutty and fruity flavor makes it a delightful experience for the taste buds. Raw pistachios are high in antioxidants. They are a good source of protein, fats and minerals. Raw pistachio nuts are a rich source of energy. They are an excellent source of phosphorous which is known to help prevent diabetes and improve glucose tolerance. Opting for a bag of raw pistachios over a less healthy snack can be beneficial to your immune system as well as your heart and eye health. Raw pistachios have almost no sodium or cholesterol. They contain more potassium than most other nuts. 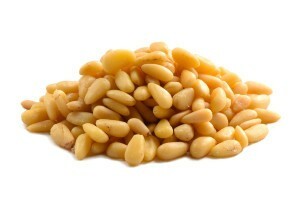 Eating raw pistachio nuts can boost your immune system and help fight infection. You can eat pistachios raw as a snack or roast and crush them to use in a variety of recipes. Raw pistachios help reduce bad cholesterol (LDL) and increase good cholesterol (HDL). They have a high quantity of B6 that increases oxygen quantity in the blood which is beneficial to the haemoglobin. Raw pistachios contain Lutein and Zeaxanthin, two antioxidants that help prevent macular degeneration. These nuts are beneficial in improving brain health. 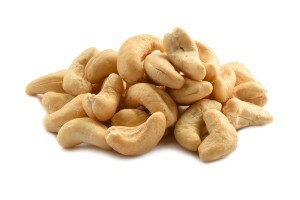 They contain vitamin E which helps maintain healthy skin. They are also a beneficial source of the fatty acids that help maintain healthy hair, stimulate hair growth and prevent hair loss. Ingredients: Pistachios. Product of California. I ordered these for my husband who loves pistachios. He enjoyed them! They were fresh and packed in a convenient ziplock bag. I will definitely reorder. These were soft and chewy. I’d prefer them to be roasted but don’t want to mess with the shells. Will probably order them again. The Pistachios are great. Don’t really like the salted ones and these are perfect. These were good…I would not call them excellent. I have had trouble purchasing shelled pistachios online. I ordered from another company and they were AWFUL…basically inedible. These were much, much better than that; however, the bag I received had only a little crunch. Maybe it has to do with temperatures encountered during shipping….On the whole, I would re-order these since finding raw unshelled pistachios is sometimes difficult to find locally. I ordered 4 pounds of pistachios and made a few trays of baklawa and some ma’amoul. Leftovers are in the freezer. Absolutely delicious. Will definitely order from you again. Thank you! Very good quality and whole kernels; will definitely order again. Ordered three bags – very pleased with the quality and price. ….none of mine were spoiled, rotten or “old tasting”.